With so many people talking about social selling and its “powers”, there is also a lot of (often uninformed) noise to cut through. Large conversations usually carry the risk of huge misunderstandings, a little like Chinese whispers. 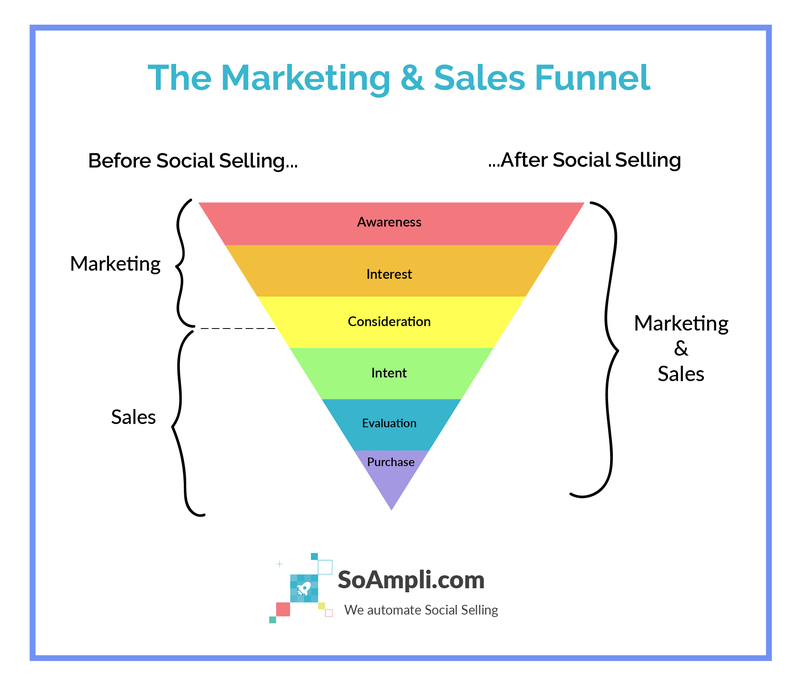 The more people get in contact with soundbites about social selling, the less clear it becomes what this strategy is all about. For instance, it is not uncommon to come across the misconception that social selling is all about blasting product updates and marketing campaigns on social media through sales reps’ personal channels, in the off-chance that one of their connections may be interested in it. Another misconception is that social selling programmes require a dedicated team of millennial social media gurus and huge budgets to put together ad hoc content packages. The key concept here is “developing relationships” with your prospects and existing customers. Through a proper social selling programme and a dedicated platform, companies can empower their sales teams to become more effective in understanding their clients’ needs and challenges (existing and prospective), and offer products and services they can truly benefit from. 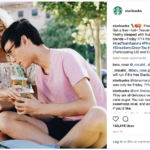 When that happens, results follow (a Forbes study found that salespeople using social media as part of their sales techniques outsell 78% of their peers). Factors like low digital confidence, lack of time and poor quality control are frequently stopping sales teams from engaging effectively on social media with their prospects and clients. But when a social selling programme is in place with a defined framework (from training, to enablement through adequate tools, all the way to performance reviews), what happens can be extraordinary. Without going as far, there is no doubt that an optimised channel of communications between the two departments can really benefit both by aligning their goals and improving performances and ROI for both their activities. When it comes to social selling, business results will follow especially when companies set up a programme with defined objectives, onboarding and KPIs. When marketing and sales collaborate to put together a structure that can benefit all the stakeholders involved (whether by helping marketers showcase the ROI of their content better, or by supporting salespeople with the content they need to grow their pipeline faster), that’s when magic happens. 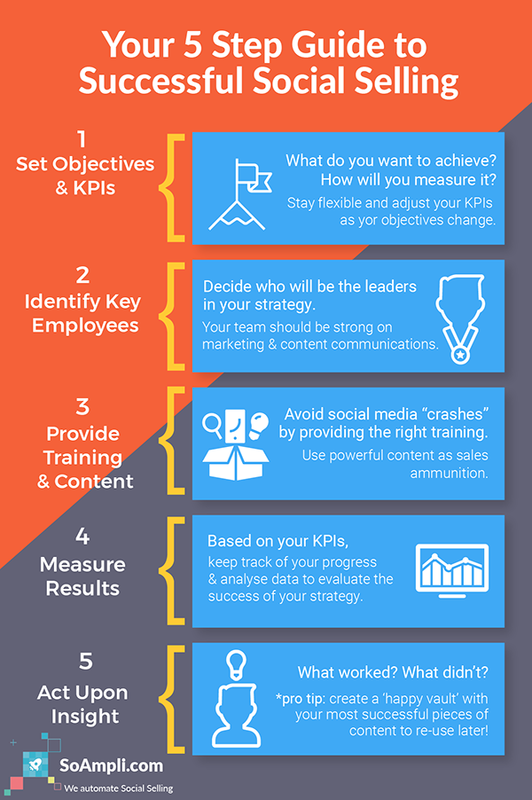 When the right tools are in place from the start, assessing the success of social selling is not a costly or time-consuming effort. Marketing can monitor which content is being shared the most by their colleagues in sales, understand the journey of their content, see which articles or images drive most referral traffic and how this as an impact on lead generation and prospecting. At the same time, sales reps can access a repository of ever-fresh and relevant content they can share in a matter of seconds, keeping their prospects and clients engaged while gaining unique insights into what types of content and what frequency of posting helps them move their contacts down the funnel, shortening the sales cycle. 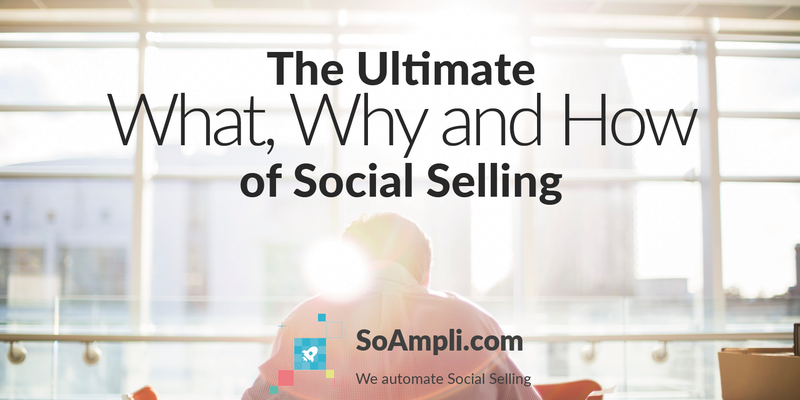 Why can’t you afford to ignore social selling? How can you implement social selling successfully? Social selling is an ever-evolving learning process, it shows results straight away if there is a good framework in place. 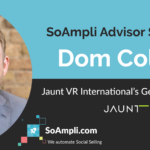 At SoAmpli, we have been helping our enterprise clients with their social selling implementations for the last two years. The result of our extensive experience is a clear step-by-step guide (below) to help companies implement social selling in the most efficient and effective way. A version of this blog post had previously been published on Econsultancy.